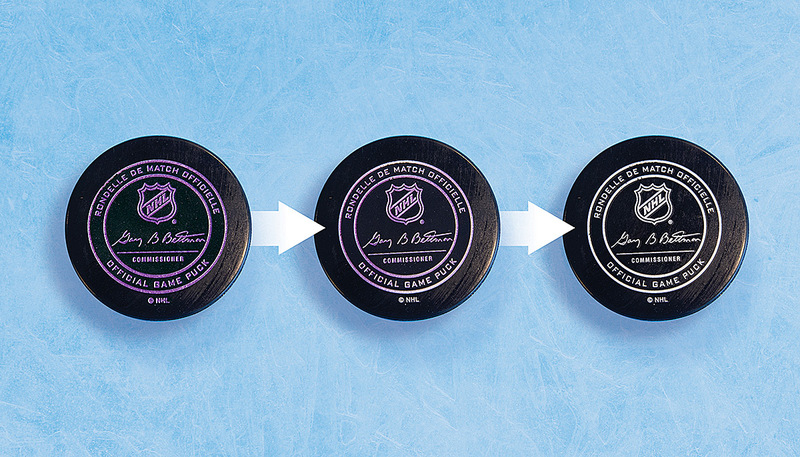 Tim is a hockey nut and music aficionado who, despite a busy life, somehow still finds time for collecting. He's been a sports card collector for over three decades and his collecting habits have evolved many times over the years. 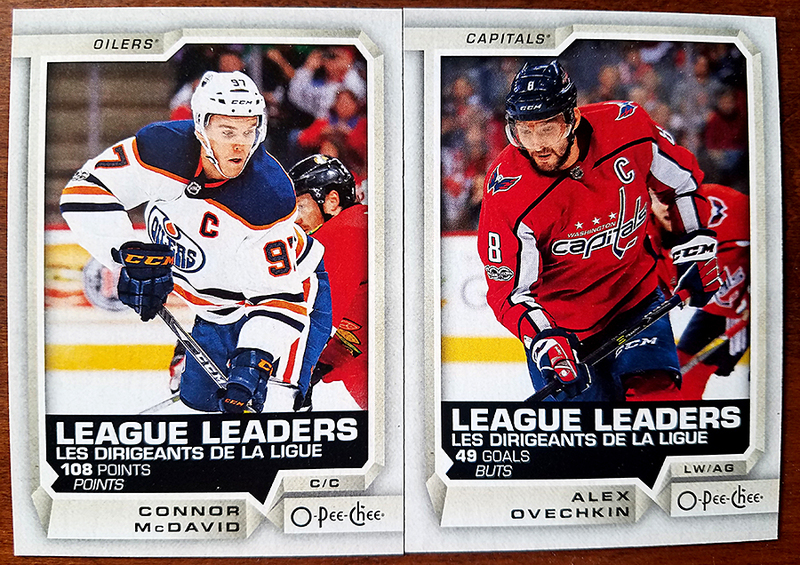 Tim has collected all the major sports, but has always come back to hockey and hockey card collecting. It’s a lifelong hobby, so he’s in no hurry and not going anywhere anytime soon. Highly opinionated and never wrong, Tim’s world view of hockey is as keen as any talking head or insider on a major sports network; the only thing missing are the “unnamed sources.” Sarcasm is also his strong suit. You can find Tim and his warped ramblings on Twitter @TheRealDFG. “Three shall be the number of the counting and the number of the counting shall be three. Four shalt thou not count, neither shalt thou count to two, excepting that thou then proceedeth to three. Five is right out. 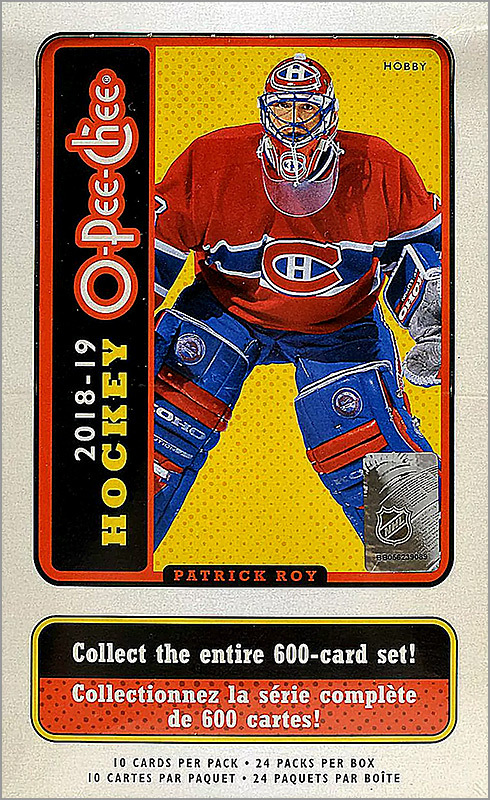 Once the number three, being the number of the counting, be reached…” you shall then open your box of 2018-19 Upper Deck Trilogy. 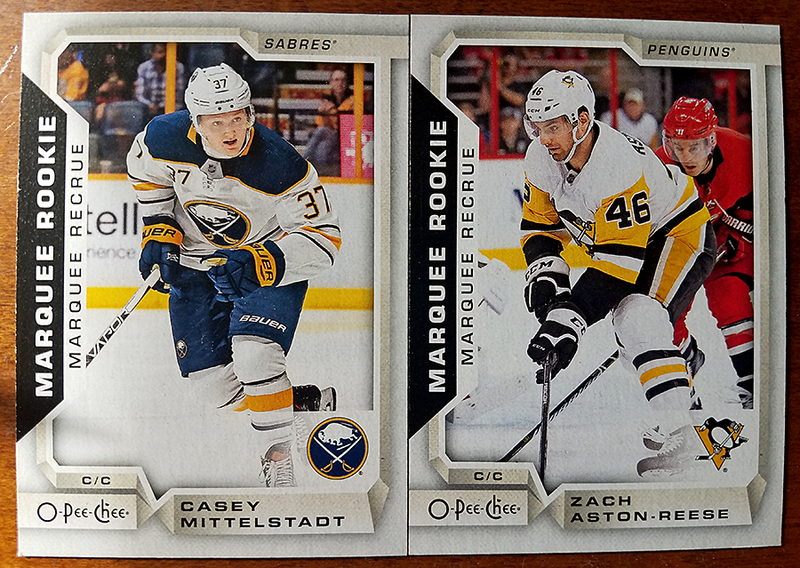 I hope the Holy Grail reference didn’t go unappreciated as my lead in for reviewing this year’s Trilogy product from Upper Deck. 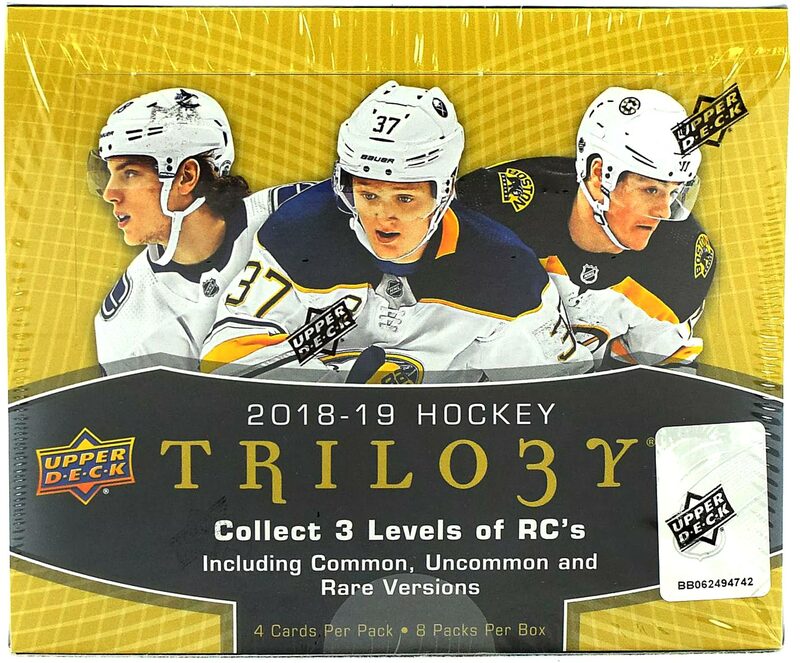 As you may have already guessed, Trilogy has always been focused on groups of three, whether it’s three players pictured on a card, three parallel levels, three autographs, serial numbers to three, etc. 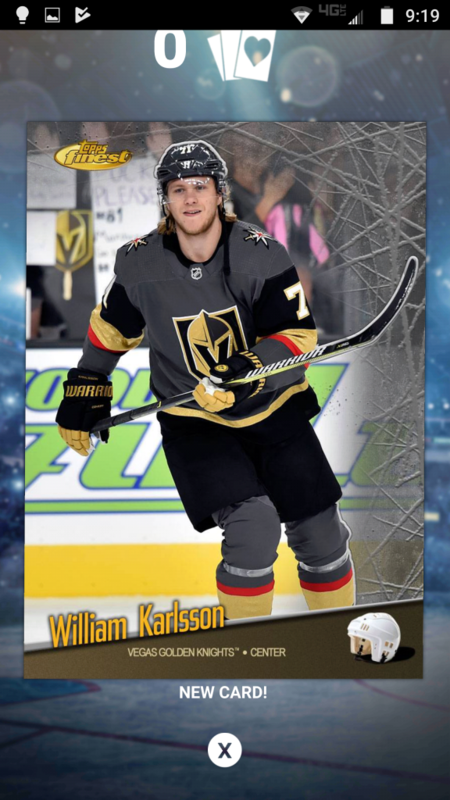 Even the set logo has a three in the title in place of the “g.” Is it a conspiracy? A puzzle? The Illuminati? 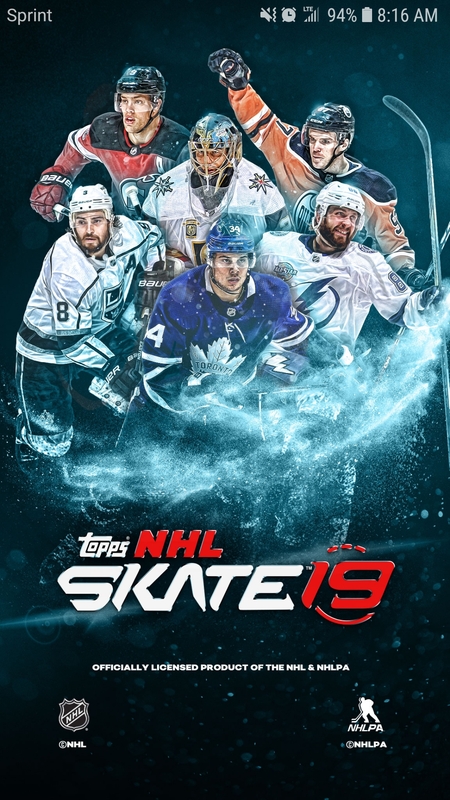 I don’t know, but the 2018-19 edition of this mid-range product is no different. 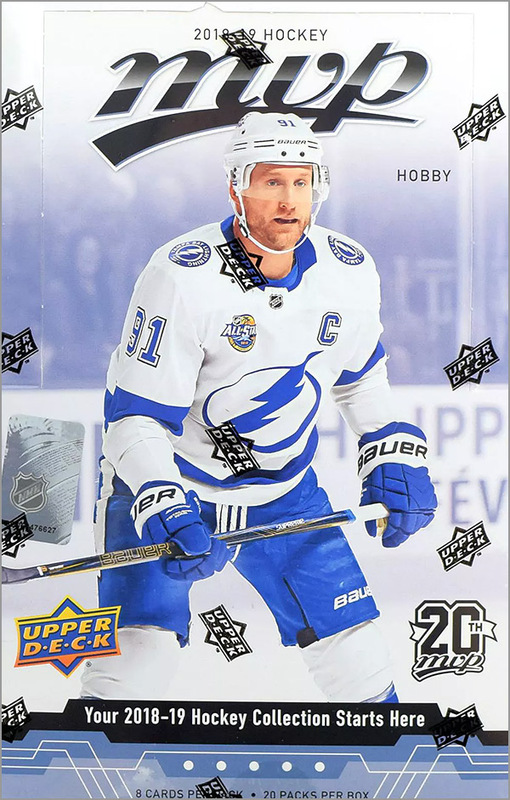 When it comes to new hockey card releases, I am frequently a late bloomer when it comes breaking boxes. 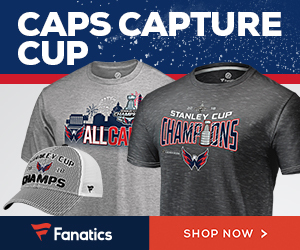 This year, 2018-19 Artifacts was no different. 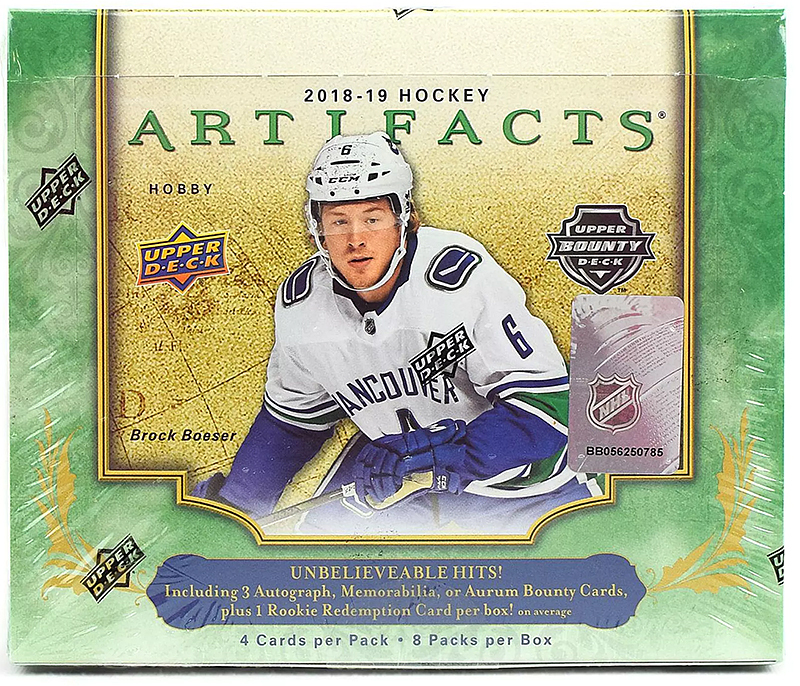 Released October 4, 2018, Artifacts is usually one of the first products to hit the market at the start of the new season (as well as MVP and O-Pee-Chee). I hadn’t had a chance to pick this product up until recently and I wanted to share my break and thoughts with our readers. 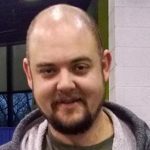 Over the last 10+ years, COMC.com (or Check Out My Cards) has been toiling away in the trading card marketplace, striving to become one of, if not THE leader in individual trading card sales. 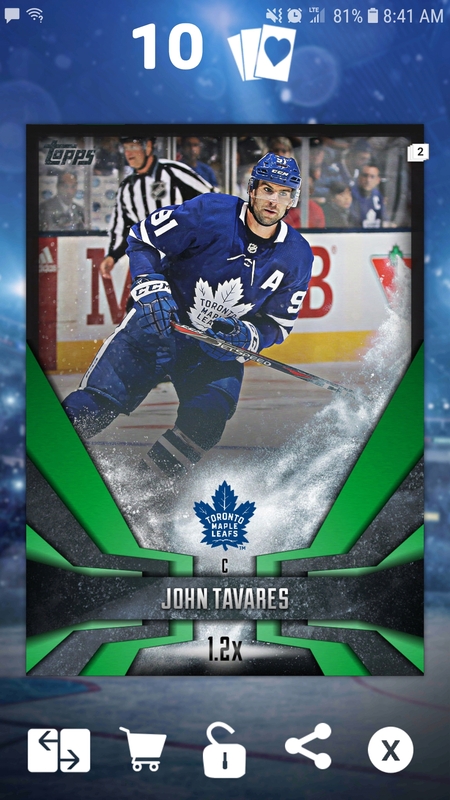 After having evolved from a small web portal known as LowPriceCards.com into the juggernaut that it is in a few years, COMC has emerged with an inventory of over 18.3 Million cards and sells and ships more singles to collectors all over the world than any other service provider. Led by a sort of “grass-roots” style guerrilla marketing campaign (which to me appeared to be based mainly on word of mouth and appearances by COMC people at the big sports shows), I have seen COMC grow from servicing about 3 million cards in their inventory when I first joined to over six times that amount today. 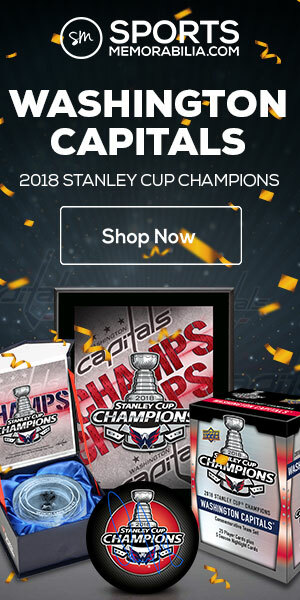 First joining COMC in the fall of 2013, I happened on the website after meeting the owner, Tim Getsch, at the National Sports Collectors Convention. The former Microsoft employee’s pitch was simple enough. “Just try it out,” he told me. “If you like it, stick around. If you don’t, feel free to email me personally and tell me why.” That’s what brought me into the fold as a user. Customer service and the feeling like the owner gets it will most likely win out with me in the end.